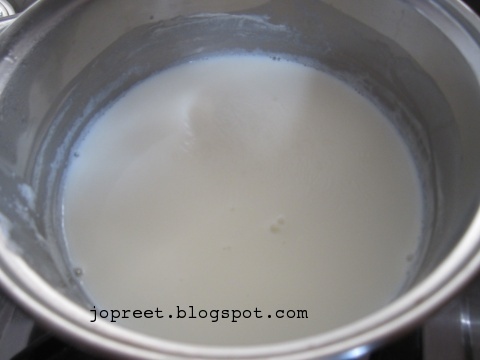 Boil milk till it is reduced to half. 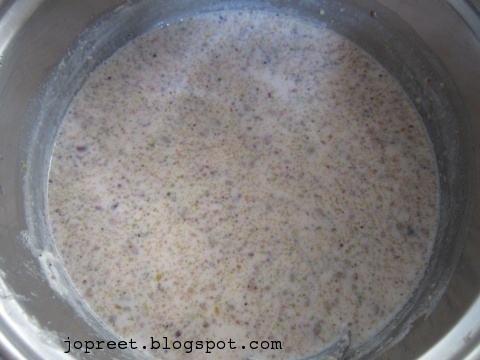 Add condensed milk and cardamom seeds powder to it. 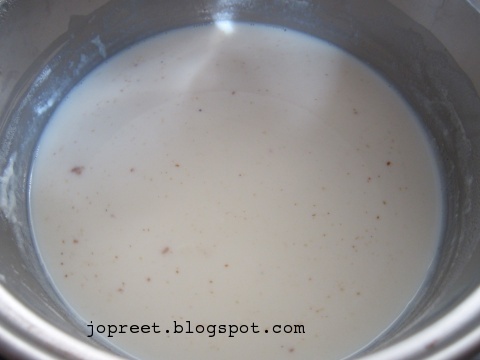 Mix well and stir it frequently for 2 mins. Add strawberry juice and pista paste. Mix it well and remove from the heat. Allow to cool. 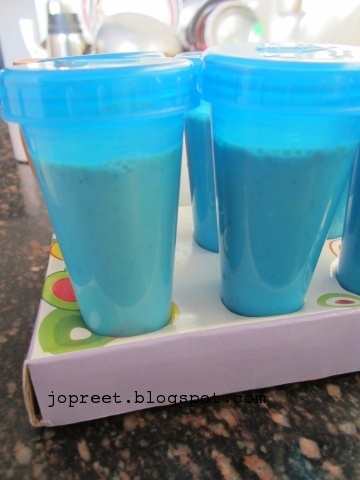 Wash kulfi moulds and fill each mould with ice cream. Don’t fill it to the top. Freeze it overnight. Next day, take out the moulds. Insert stick in the center of kulfi. You can unmould the kulfi by keeping under running water for sometime. Now pull the stick gently. And serve kulfi..
Nice combination of flavours, another great way to use strawberries! Lovely clicks too Preeti !!!! so creamy and tempting the kulfi looks. I made ice pops one at home. 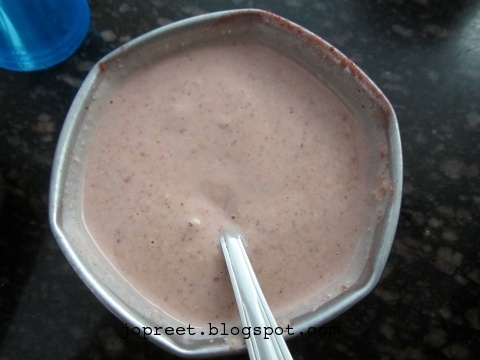 but before clicking, everything has gone… after seeing ur kulfi, like to try it again. so yummy n tempting kulfis. Wow!! Yummy kulfis made in my favorite flavor.. Beautiful clicks..
That's extremely lip smacking. Intolerable Preety. Perfect for summer weather , not now for us at least but surely in summer. Looks so awesome..super clicks tooo..
That looks super-duper tempting…drooling here…luvly presentation. looks perfect and delicious preethi!